Therapeutic Massage Fundamentals represents earners who understand the historical development of massage therapy and its relationship to health care. 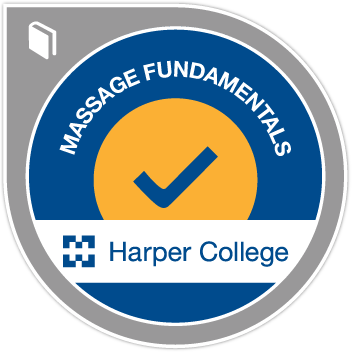 Badge earners acquire experience in massage theory including hands-on applications of major massage approaches. Completers are able to identify diseases of the connective tissue and skin, explain the function of the skeletal system, and describe normal and abnormal processes of the integumentary system.